Marway’s Optima PDUs specialize in application-specific designs optimized to meet specific requirements. We’ve developed and manufactured hundreds of systems for a variety of platforms and applications. We’ve also extracted the most common requirements into a series of pre-designed, general-purpose PDUs. These standardized units are available in basic and Ethernet-networked platforms at lower cost and shorter delivery times. Marway’s custom and standard PDUs come in a wide variety of sizes, shapes, and capabilities used for industrial, military, and OEM applications. An auto transfer switch is supplied by two separate power sources: a primary and a secondary. If the primary power source loses power, the TwinPower ATS automatically detects the power loss, and switches to the secondary source to keep the connected equipment powered up. The secondary source might be from a separate circuit breaker of the same facility power, or a completely seperate facility power system. An Auto Transfer Switch has a different purpose than using a battery backup system, and a battery system could still be used along with the ATS device. Auto transfer switches can also be customized to suit the power loads, connectivity, and monitoring needs of the application. Marway’s universal control panels consolidate the on, off, and EPO control features used to manage one or more power distribution units. 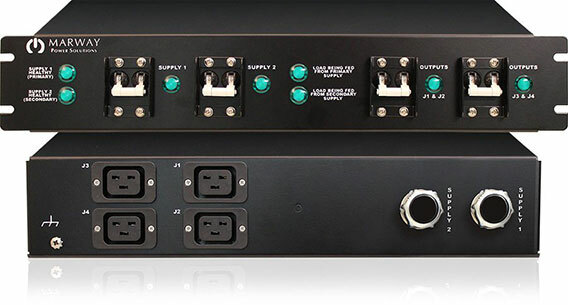 PDUs with remotely switchable outlets can then provide power on/off control in unison to downstream equipment. Additionally, the EPO circuit of the Commander control panels improves safety of the combined power system. 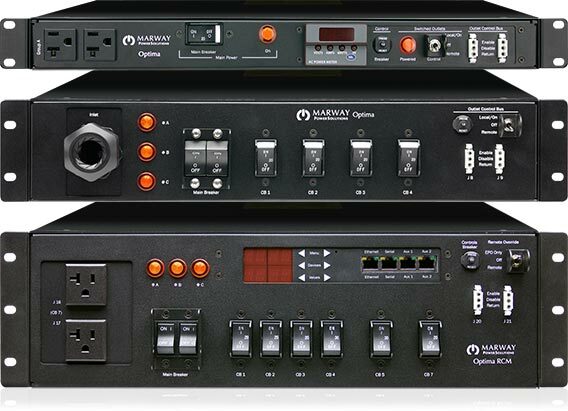 Marway’s universal control panels provide remote on/off and EPO control of one or more PDUs. PowerPlus systems integrate the engineering, design, and packaging of customized, turn-key, rack-based control centers where the optimization of power distribution is an integral part of the design objective. 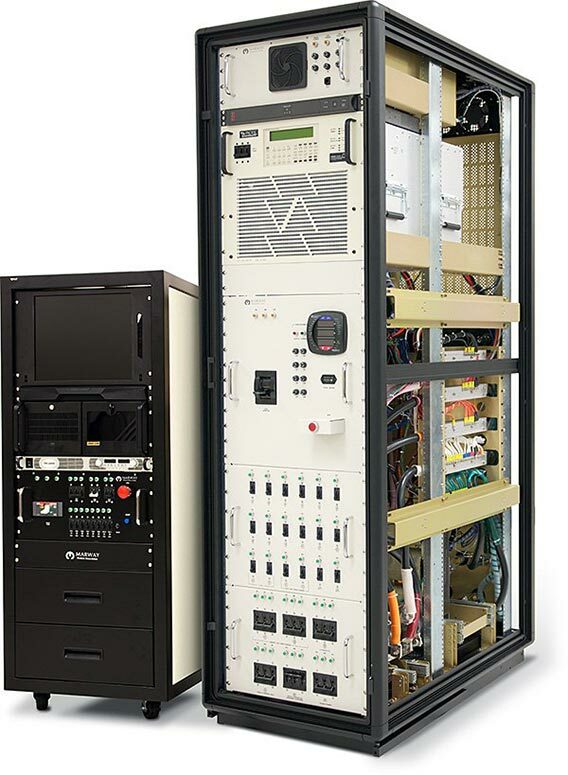 Where critical equipment comes together in a rack system, power distribution usually plays an important role. Some equipment sets will need very specific power conditioning requirements. Some will have a multiude of different ac and dc power forms. And, for some racks, space constraints will dominate the need for creative solutions. Marway can address these design needs and more. Whether for communications, test automation, field diagnostics, or other roles, Marway can design and manufacture the power platform needed for the application-specific equipment. Marway’s experience spans thousands of custom PDU solutions for industrial, military, aerospace, and OEM applications. 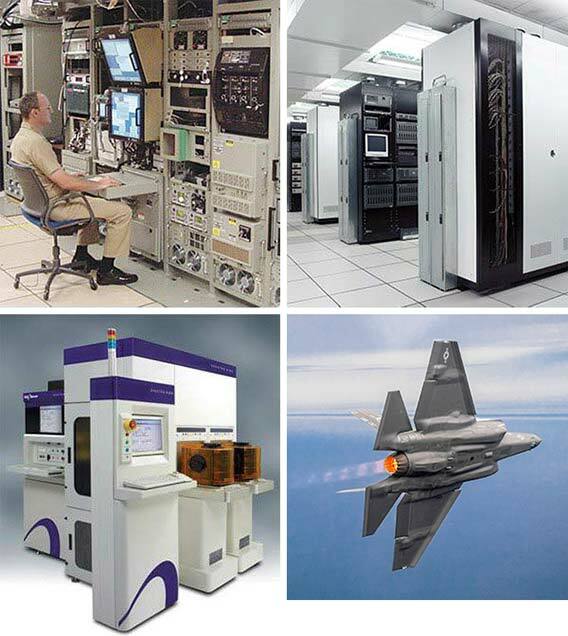 Our products have solved power challenges in numerous speciality manufacturing environments, as OEM subsystems in automated test, semiconductor manufacturing, industrial laser equipment, . Marway also has a strong heritage in defense programs with products onboard submarines, ships, and aircraft, as well as deployed in mobile and forward base installations. Illustrated graphic badges indicating that Marway is certified ISO 9001 with AS 9100, builds and certifies products to UL and CE standards, and can meet the requirements of MIL-STD 461, MIL-STD 901, MIL-STD 810, MIL-STD 1275 and others. Marway’s PDUs are used in industrial, military, and OEM applications as part of test and development labs, in ships, submarines, and aircraft, in capital equipment used for manufacturing, and many other specialty applications.